The 4th of July is almost upon us. It’s quite possibly the most celebrated holiday of the summer. The best part of the 4th of July? Red, white and blue outfits, accessories, and of course beauty products! 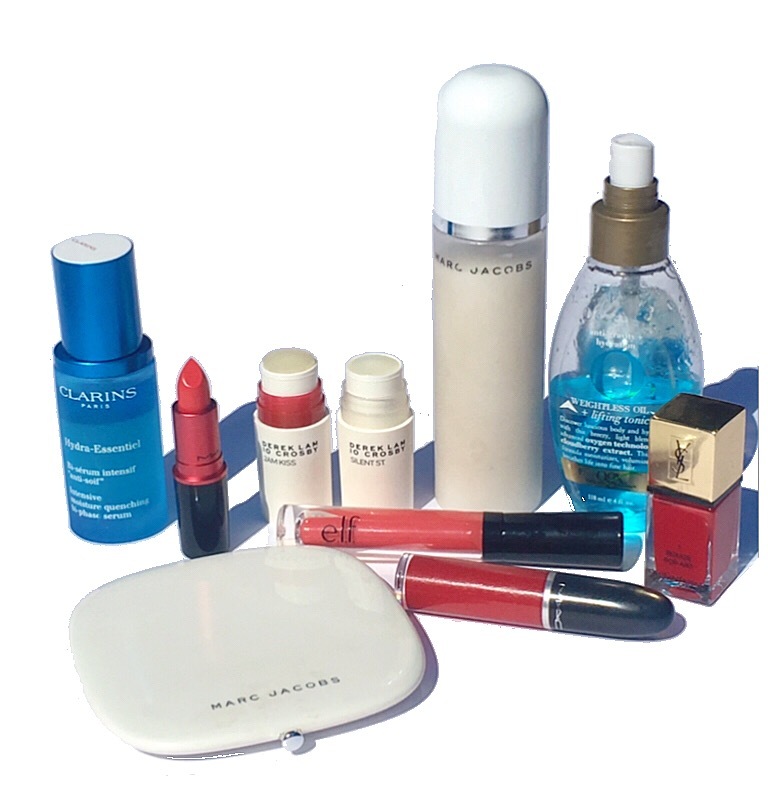 In honor of the fourth of July, today’s post will feature my beauty picks in the white, red and blue variety. First up is the O! Mega Bronze Coconut Perfect Tan in Tan-Tastic $49. This is a flattering matte bronzer that I think would work best on light to medium skin tones though its described as universally flattering. It is a shade that is not too warm nor cool and provides a beautiful all over warmth for the face. It is deliciously coconut scented and in addition to loving the white LE packaging, I am in love with the fact that you get 25g worth of product! Definitely a lot of bang for your buck. Marc Jacobs Beauty Re(cover) Perfecting Coconut Mist, $39 is a makeup setting mist that helps to not only lock in makeup but provide a luminous dewy glow for the face. It contains 5 coconut actives that makes it very hydrating and refreshing every time I use it. It helps to keep my makeup looking fresh and I do enjoy the luminous finish it provides. It’s a great pick me up during mid day! One of my favorite drugstore brands is ELF Cosmetics. This Tinted Lip Oil is perfect for the days you want a no makeup makeup look and delivers a healthy flush of color on the lips while keeping them hydrated. Jojoba, Apricot, and Vitamin E moisturize the lips for a healthy and hydrated pout from day-to-night. If you’re interested in reading about a few of my favorite ELF products I’ve previously reviewed, you can find it here. When I prefer I more opaque finish, I reach for one of the classics, cult favorite Ruby Woo which is a vivid blue red in a matte finish. 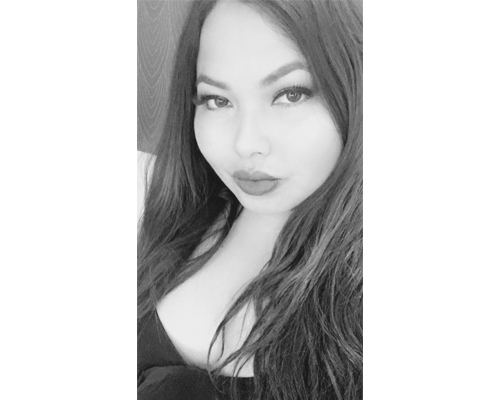 It’s pigmented, glides on beautifully, and feels comfortable on my lips and the color is absolutely gorgeous. You can find it at Ulta and the Mac Cosmetics website. 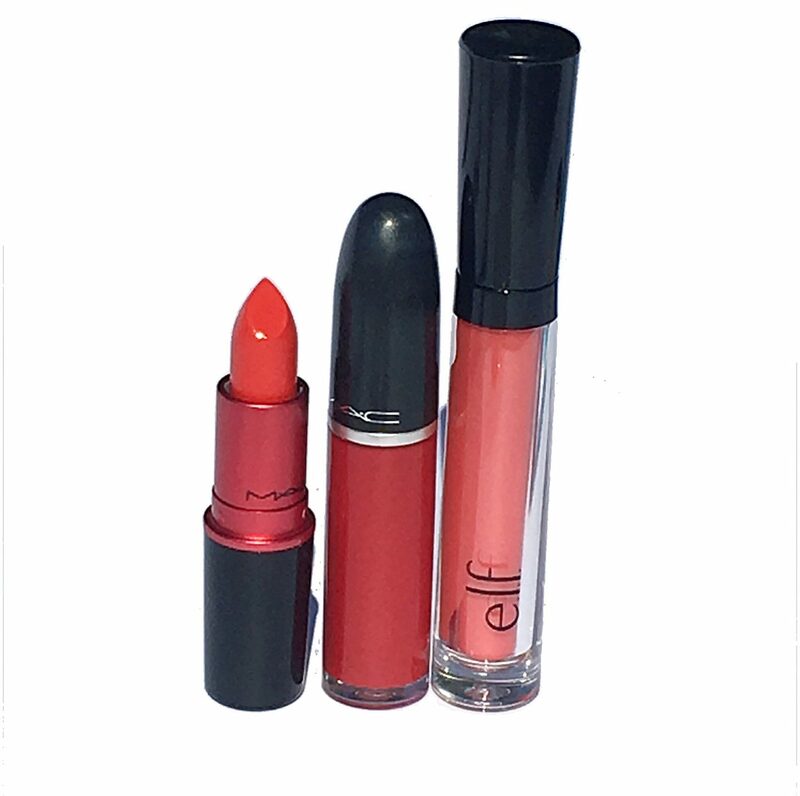 For a red pout that is long lasting and will not budge, I reach for a liquid lipstick formula. Dance with me is a beautiful cranberry red that is exceptionally gorgeous and pigmented and it’s a stand out color that I reached for quite often this past weekend. To read my full review of the formula along with swatches of other shades, you can find it here. I am a fan of their Moroccan Sea Salt Spray, reviewed here, This product is infused with Oxygen Liposomes, which claims to deliver oxygen to hair strands, helping to create movement and fullness without weighing hair down. I found this to work nicely when applied to both my damp and dry hair. It’s a lightweight treatment that leaves my hair feeling silky and smooth and it smells great! Derek Lam 10 Crosby Parfum Stick in Silent St. * ($38) – I am enamored with this portable Parfum stick as shown in my Instastories this past weekend. 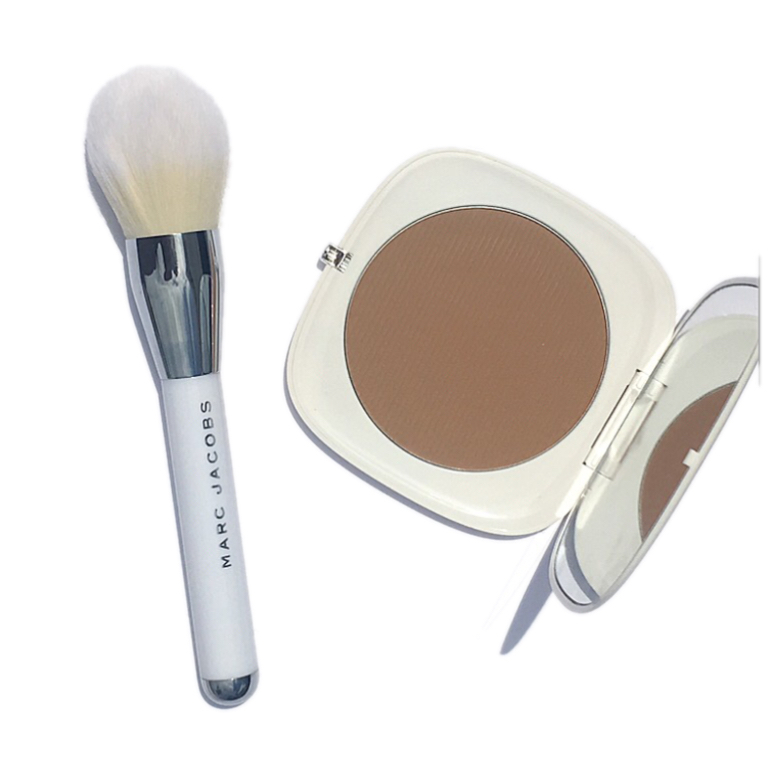 It’s perfect on the go and easy to slip in your purse or makeup bag. Silent St is a clean, pure and fresh scent that I really enjoy. It’s available at Nordstrom. 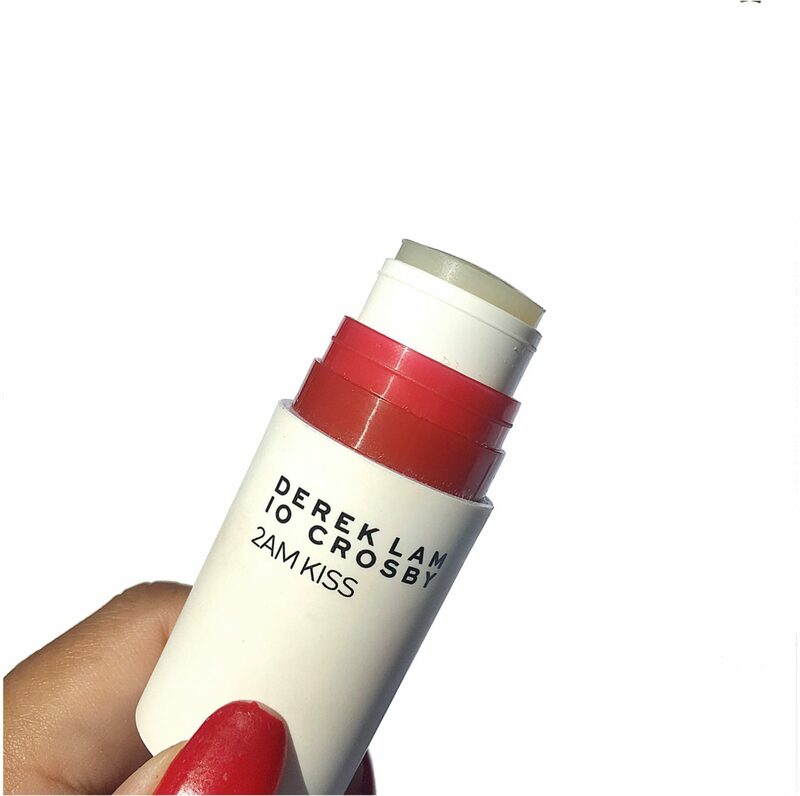 Derek Lam 10 Crosby Parfum Stick in 2AM Kiss* ($38) – 2am Kiss is the firecracker scent of the two. It has an intimate burst of salty caramel and crystalized amber. One for the day, and one for the evening. I prefer to wear Silent St, during the day and 2 AM Kiss in the evening. There are a total of 10 fragrance options available in the Derek Lam line, ranging from fresh to floral to deep oriental notes. I love the minimalistic and modern sophisticated packaging and look forward to using both parfum sticks this summer. I adore this shade of hot fire engine red that I have worn several times over. Two coats for opaque coverage that lasts beautifully. You can find it at Nordstrom. Last but certainly not least, we cannot forget about the skincare category. This refreshing bi-phase serum protects against the elements, leaving the skin soft, plump, and intensely hydrated. It’s formulated with organic Leaf of Life, which is a super-quenching succulent plant extract that powers the skin’s natural hydration to retain moisture in any environment, while organic May’s thistle helps improve skin’s hydration process for all-day comfort. I apply the serum before my moisturizer and it keeps my skin hydrated throughout the day. If you are suffering from dry skin, I would highly recommend it. What are some of your fourth of July beauty picks? Do tell! Wishing you a safe and wonderful holiday. *These products were provided as PR samples. As always, all opinions are honest and expressly my own.